We apologise if you've been bombarded with messages about the Public Eye Awards, but you'll be glad to know that G4S have been voted the third worst company in the world! Even though we would have loved to see G4S topping the list, were pretty happy with G4S being given the bronze award considering the stiff competition from Goldman Sachs and Shell. There's no need to repeat the brilliant responses articulated by John Grayson and Adri Nieuwhof in their recent Open Democracy piece, but put simply, G4S' pithy 150 word complaint is hardly demonstrative of a company that values their public image. Whilst their bronze prize from the Public Eye Awards is a brilliant step towards exposing the activities of this multi-national company, it is not going to be enough to change current practice. 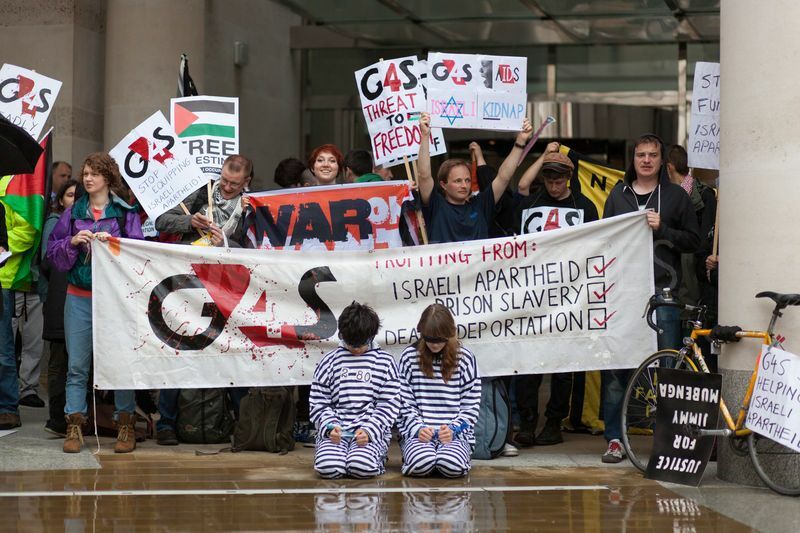 Campaigners and activists across the globe will continue to highlight G4S' complicity in human rights abuses; we said no to G4S, and we still mean it. Reason Two: Company Anthem? Really? As promised, throughout the month of January, we'll be recounting the reasons for you to vote for G4S as the worst company of 2012, and we'll probably be finding more. Today, we're looking at their multi-million COMPASS contracts with the UK government. The COMPASS contracts saw the provision of housing for asylum seekers in the UK completely privatised. The country was split into six multi-regional contract zones, and the provision of services was put up to tender. In March 2012, Serco, G4S and Clearel were revealed as new service providers, with G4S managing provision in Yorkshire, Humberside and the North-East and the Midlands. Since taking over the management of asylum housing from local authorities, G4S and their chosen property providers have continued to provide sub-standard, unsafe housing for people seeking protection in the UK. For a small indicator of the level of service provided by this multi-million pound company, read John Grayson's account of a young mother's experience of G4S housing. It's 2013, and we're all looking ahead at the new year. But it's not quite time to forget about what happened in 2012. The Public Eye Awards, run by Greenpeace Switzerland and the Berne Declaration, has opened the online voting for 2012's worst company. Hardly to our surprise, G4S is one of them. Far from just providing abominable asylum housing in Yorkshire and Humberside, securing Israeli apartheid and even targeting 'high-risk areas' of conflict and war as emerging markets, the tentacles of G4S' subsidiary companies are steadily creeping around the globe. Your vote can help bring this murky outsourcing giant into the critical spotlight it deserves. 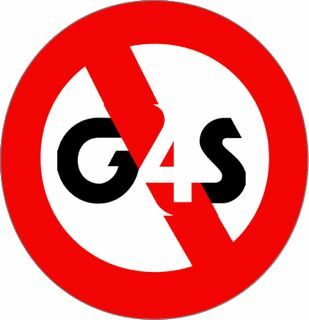 Over the next few weeks, we'll be providing you with a new reason every day to name and shame G4S as the worst company as 2012. It's time to hold this corporate giant to account.